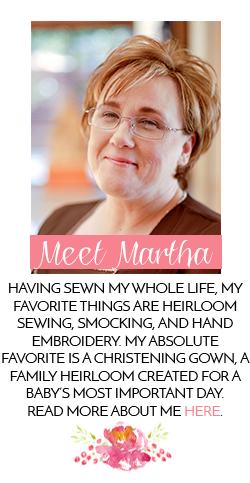 Southern Matriarch: Are you a fan? Are you a fan of Downton Abbey? Oh we are around here! (Warning, if searching google for images, beware of spoiler alerts!) I adore everything about it. 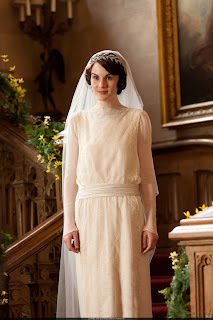 Lady Mary's wedding dress so reminded me of the one picture I have seen of my grandmother's wedding portrait. Loved this. Of course my hands down favorite is The Dowager Countess, Cousin Violet. She cracks me up! Every week my first thought is "What will she say this time?" She never fails to make me laugh. This is one of my favorites. I love her. 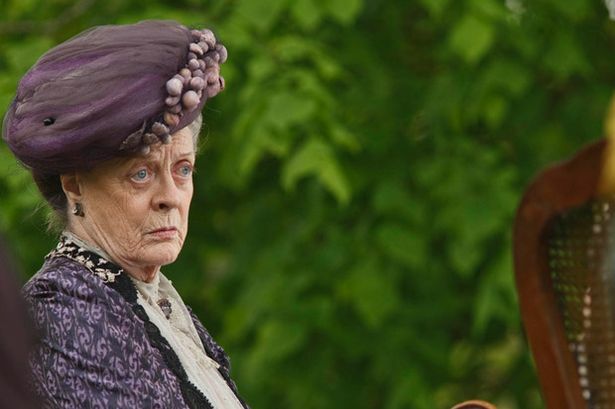 Maggie Smith is fabulous in this role. I want to be her when I grow up. I did accomplish a bit of utility sewing. 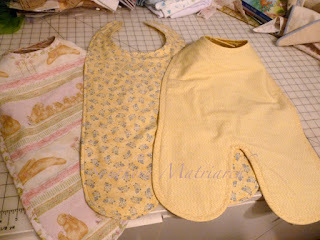 The two kiddos needed some more bibs. The ones I made last year were in despicable condition. As always a project that you think will come together in a blink, never does. I bought a large toddler bib last year and proceeded to make up my own. I got tired of soaking Princess' clothes all the time. Toddlers are messy. I could have sworn I posted about these last year but I couldn't find them. These are last year's crop. 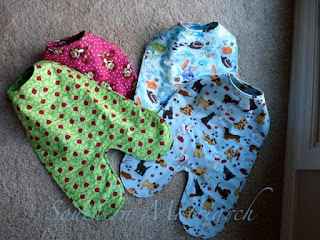 Prince was a newborn so he didn't need any monster bibs, these are decided more girly. I used stronger velcro this time, I hope it at least slows him down when he goes to rip it off. More things going on in the sewing room. I hope to be back soon with progress. Love it, love it, love it! 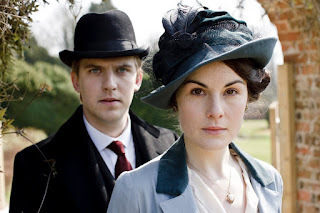 My son refers to it as that depressing English show, my husband likes it but won't admit it. It's so nice to see wedding dresses with sleeves, and I adore Maggie Smith. 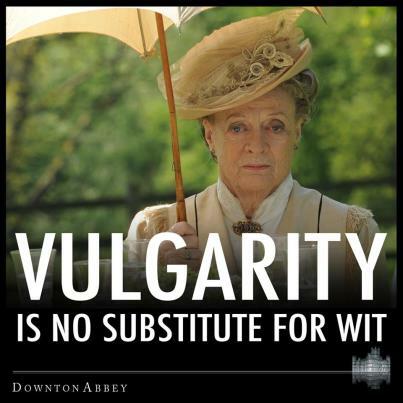 Her one liners are just fabulous. What a wonderful actress she is! I love DA! So much that is it influencing my sewing. I think I want to sew period-esque Easter dresses for my 3 little girls this year! If I can come up with some patterns. Any suggestions? PS. I love your blog too. I'm new to smocking and I love all your helps and seeing your beautiful work. Thanks! New to DA but I love it! Watched it last nigth at about 3am on my lunch break at work. These bibs are a great idea. You did blog about them in April. I saved it for future reference. One week after your post, DA fans are in agony. I had trouble sleeping after watching last night's episode. Think maybe I'm too involved? Dare I Say It? .......Easter!